At week 8 to 10, the Labor Inspectorate will carry out a nationwide supervisory action in the industrial industry. The inspections are unannounced and will focus on hazardous machinery and work equipment. "We see that there are many injuries and accidents in the industry. Most accidents occur in connection with the use and maintenance of machinery and equipment. Young workers and workers in small businesses are most exposed. The benefits of preventing accidents are great, both for businesses, workers and society in general, "says Trude Vollheim, Director of Labor Inspection. Industrial industry has been selected as one of three main industries. The Labor Inspectorate will make a special effort in the next two years. The Labor Inspectorate will suspend the use of work equipment which lacks safety or protective equipment. Inadequate fuse of work equipment will always pose a significant risk, "says Trude Vollheim. Infringement fee will be used, for example, in cases where the Labor Inspection Authority finds that protection has been removed on machines with moving parts. In case of serious offenses, the business will be reported to the police. The accidents occur both during normal operation and by scheduled or corrective maintenance. Correct maintenance is often done by correcting an error while the production, the machine or the equipment is running. Examples of this are that something has stuck or machines and equipment have stopped. The cause of the accidents is typically that the machine or equipment is missing protection or that the power is not disconnected during maintenance. Then there is a high risk of hand or fingers coming into contact with moving parts of machines and equipment. This type of damage is the one most commonly reported to the Labor Inspection Authority. 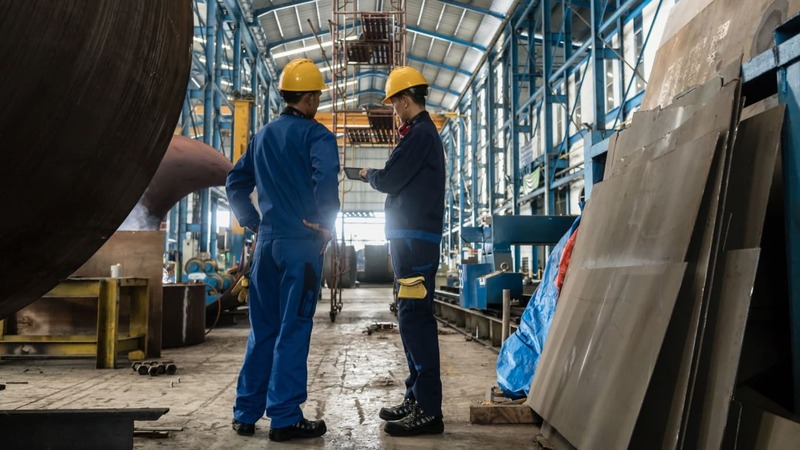 In the case of industrial fatal accidents, many of the accidents occur in connection with maintenance, repair, verification, preparation and cleaning of equipment. About 30 percent of the accidents have occurred in connection with work where regular production and operation was in progress but should have been stopped. Good maintenance is essential for managing hazard and risk at the workplace. But maintenance itself is also a high risk activity. Therefore, it is crucial to map and assess risk and take the necessary measures for safe maintenance work. "It is extra important that the employer carefully plans this type of tasks and ensures that it is qualified personnel who perform the maintenance," says Trude Vollheim, Director of Labor Inspection. Older machines are often not upgraded to the current standard of protection. Machines manufactured after 1995 must be CE marked and conformed to the machine regulations. Machines should be discontinued immediately if any malfunctions are identified that are of significance to safety and shall not be used again until the error has been corrected.